Castle hotel in France – How to find a cheap chateau ? Budget hotel castles in France – How to select it ? 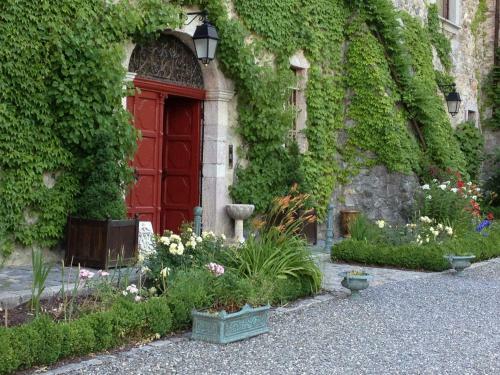 Budget chateau hotel in France – Why in Provence ? If your dream is to spend a night or a weekend in the romantic setting of a superb castle nestled in a small corner of Southern France, you must know that it is possible even without a lot of money ! Yes everyone can change their dream into reality. You will discover in this post that with a small budget of only € 99, you can realize the dream of sleeping in a beautiful chateau in France yes : in a real castle in France ! In France, more often for financial purposes, some castellans have opened their domain for seasonal renting. Thus, they referenced their castle on hotel reservation platforms and offer some rooms for rent. Others have turned their castle into an hotel. The majority of these establishments are very luxurious and reserved for an affluent clientele. And as my beautiful France has many castles and mansions, all different depending on the region and time of construction, it is not easy to choose one that is not expensive for your weekend or your stay in France. It is therefore by reading the specialized press, by going on the websites of French castles, on the sites of hiring of rooms into castles that I could find some interesting offers. And I choose only the offers which make it possible to taste the luxury and the life of a French chateau for the price of a cheap hotel. Indeed, all these beautiful castles in France offer beautiful luxury suites but some also have more simple rooms and therefore much more interesting prices ! And to select the best chateau in France, I read the reviews and comments of users to select only the cheapest Castles but very well evaluated. Since it would be foolish to choose a lost castle in the middle of nowhere in an unwelcoming area, I preferred to choose those which are located in pleasant regions in France for holidays and having many tourist attractions. 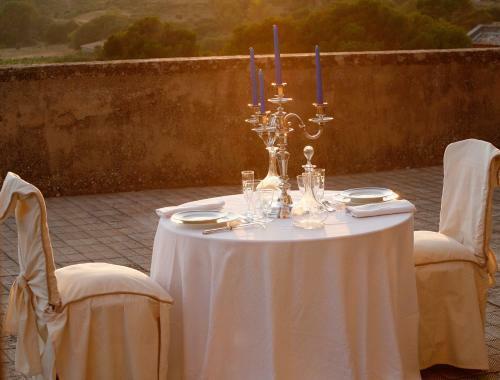 And, as I am in love with the South of France, the 5 best cheap hotels castles of my selection are located in the beautiful region of Provence between the sea, the olive trees and the lavender fields. 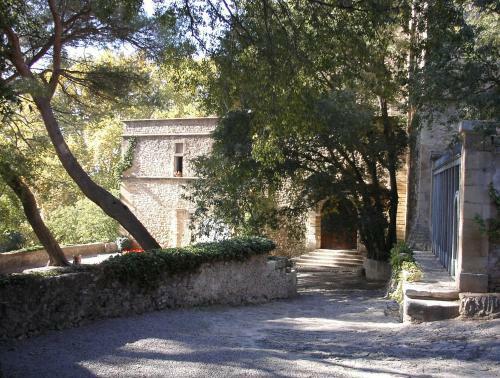 Located near Aix en Provence, the Chateau de Pioline is the old mill of Verdache. This sumptuous house of the sixteenth century has been transformed into a luxury hotel and is the subject of a classification under the historic monuments of France. With its beautiful swimming pool, large park and excellent gastronomic restaurant Pierre Reboul, this castle is a perfect choice for a relaxing holiday but also for tourists who want to discover Provence (Aix-en-Provence is only 4.5 km from the castle). 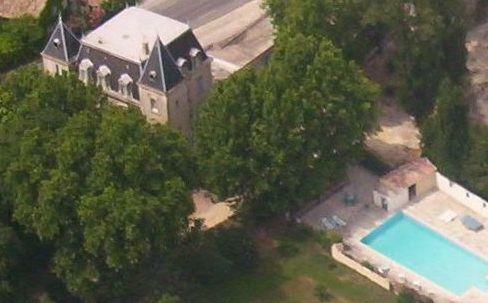 Guests are all very satisfied with their stay at Chateau de la Pioline and gave the rating of 8.7 on Booking. As for TripAdvisor, it is the Certificate of Excellence that honors this establishment. This 19th century castle is located in lower Provence on the road to Vaison-la-Romaine in the heart of the famous Cotes du Rhone vineyard. 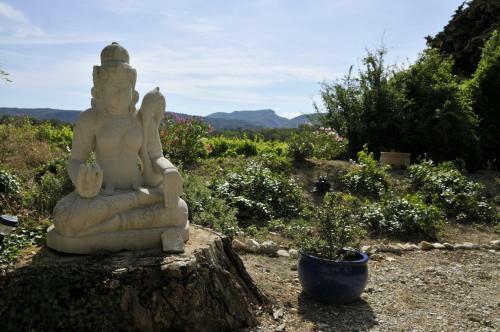 Its location is perfect to discover Provence and the Luberon. With its park, pool and beautiful shaded terrace, this castle is also ideal for a relaxing holiday or a family holiday. Its main asset is his restaurant La Table du Mogador. Selected by Tables and Inns of France Review and the Petit Fute french guide, this restaurant serves traditional Provencal cooking made with fresh and quality ingredients. In addition, wine tastings can be organized on site to sample the different varieties of Rhone wine. On site, guests can also enjoy the benefits of aromatherapy or massage sessions. 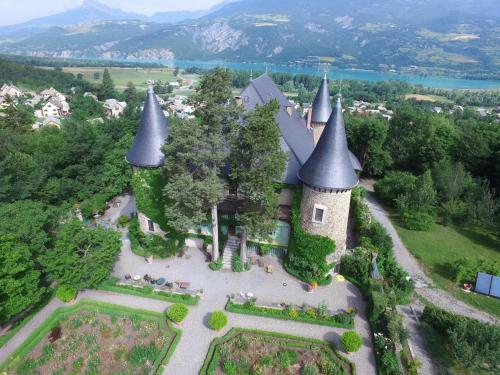 Dating from the 14th and 16th centuries, this magnificent castle offers a view of the Serre-Ponçon lake in the Hautes-Alpes. With its elegant turrets, large French garden, orchard and chapel, this castle is simply beautiful ! Well located in the countryside with beautiful forests all around, you can practice hiking, water sports and cycling in the Ecrins National Park. You can visit the Abbey of Boscodon and Fort Vauban. Finally, if you go in winters, Les Orres ski resort is 12 km away. 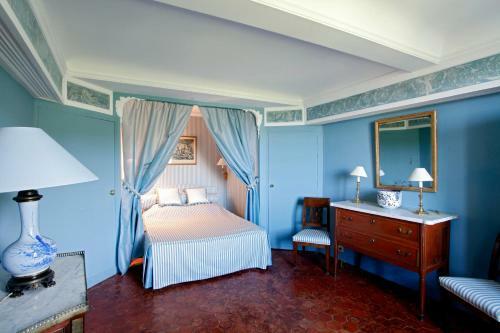 The rooms are spacious, well equipped and are spread in the historic castle heart. They are decorated with period furniture from the 18th and 19th centuries. This castle has a 9.5 rating on Booking and the certificate of excellence awarded by Tripadvisor ! 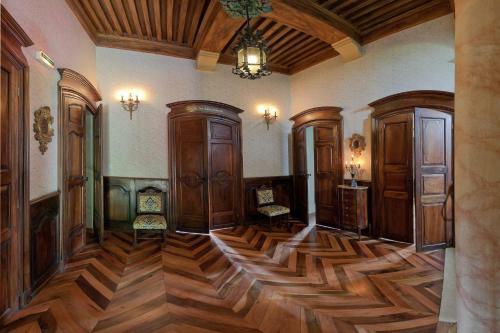 Here is a real medieval French castle that will ensure a total change of scenery. You will live a weekend or a stay as in the Middle Ages ! From the excellent reviews on the web, guests loved this timeless place for its magical setting. Many say of their stay at the castle that it is a unique and fantastic experience that makes a leap in history. I kept the best for last, here is my favorite chateau in France ! Very famous because the Marquis de Sade lived here, this magnificent castle dates from the 18th century and has undergone many renovations to become today a superb four-star boutique hotel. In the heart of a Provencal village, 30 minutes from Avignon between Mont Ventoux and Vaucluse, the elegant Chateau de Mazan is an ideal base to discover the region of Provence. With its beautiful outdoor pool, flowered terrace and gourmet restaurant, this is the perfect place to spend a dream vacation. With a very small price of only 116 Euros per night, it is undeniably a good plan for a 4-star hotel !